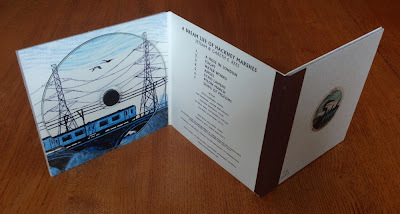 CD in Risograph printed, handmade cover. Walthamstow-based group Jetsam are an eclectic contemporary ensemble who create and perform original and commissioned works as well as contemporary repertoire. 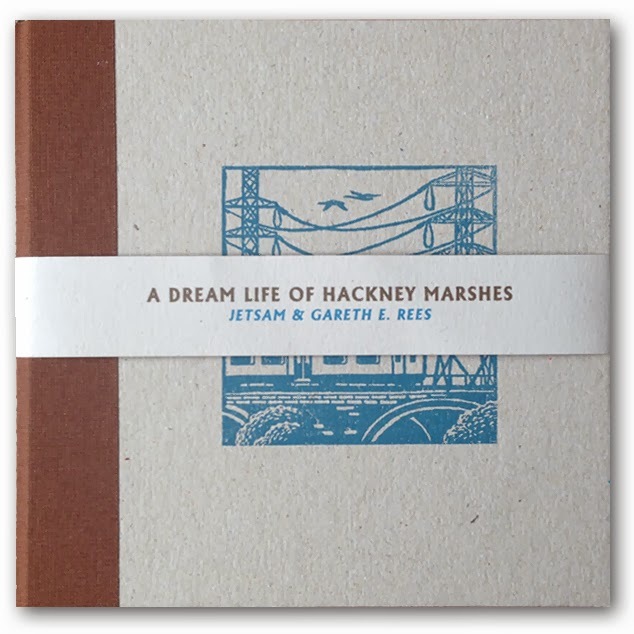 In 2012 they teamed up with author Gareth E. Rees for a collaborative project inspired by his blog The Marshman Chronicles and, in particular, his short story ‘A Dream Life of Hackney Marshes’. In Rees’s work, the Lea Marshes are a fragmented world which disrupt the walker’s sense of linear time. The landscape is an unsettling mix of ancient wetland, overgrown Victorian ruins, wild flower meadows, pylons, railway sidings and reservoirs. Kestrels hover over grazing rare breed cattle. Shopping trolleys are sucked into the river bank. A heron stands in a flooded World War II bomb crater. All of this framed by London’s skyscraper skyline and the stadia of the Olympic Park. This inner city wilderness tells a story about London’s past, but it also suggests a future after mankind has gone, when wild nature bursts through the cracks in the city to reclaim it as their own. 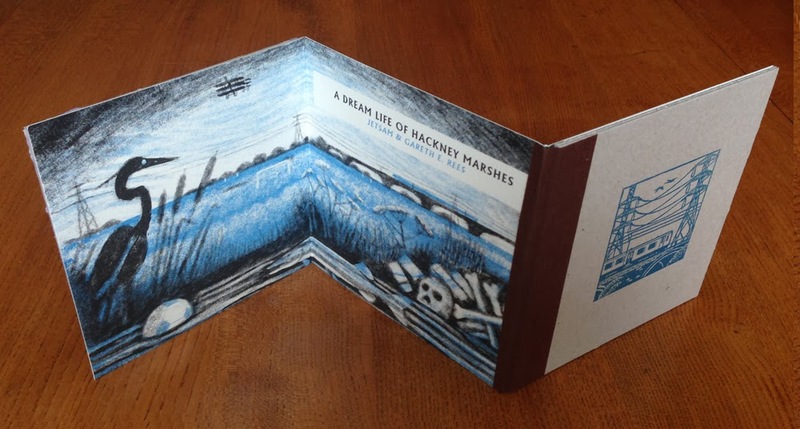 In a ‘A Dream Life of Hackney Marshes’. Jetsam’s atmospheric orchestration, and Rees’s spoken word take you on a journey through this troubled dreamscape. The album has been beautifully recorded at the Music Studios of The University of Hudderfield, it will be limited to 200 numbered copies in a Risograph printed handmade CD case designed by illustrator Frances Castle. Gareths E. Rees' book Marshland: Dreams and Nightmares on the Edge of London, will be published by Hackney-based Influx Press in November.